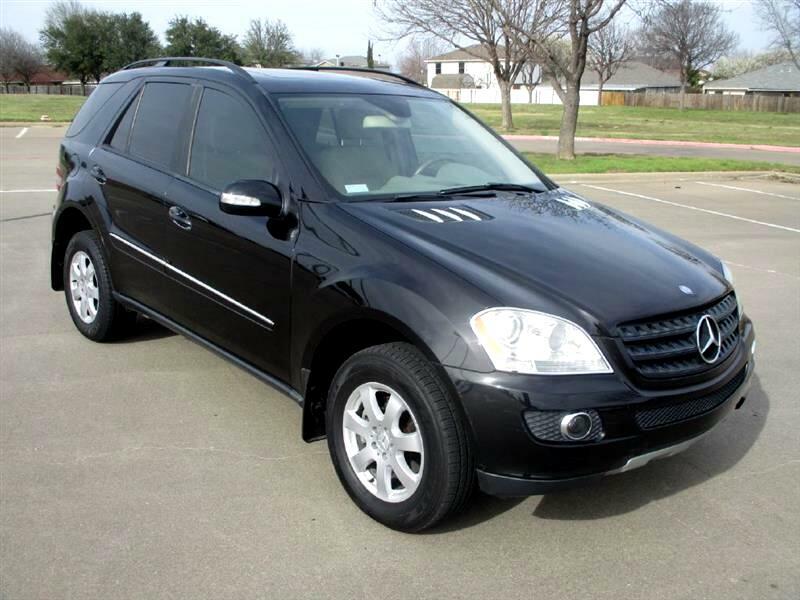 2006 Mercedes ML350. 80K Miles! 1 Owner! All Wheel Drive (With 4 Low Option AWESOME FEATURE). 3.5 Liter 6 Cylinder Engine. Factory Navigation. Leather. Moon Roof. Dual Power Seats. Automatic Transmission. Power Windows. Power Locks. Cruise. Tinted Windows with privacy glass. Keyless Entry. Tilt Wheel. Roof Rack. Alloy Wheels. Factory BOSE AM/FM stereo with 6 CD changer in rear. Both sets of Keys, Owners Manual, Mats are in the vehicle! Yes this is a low mileage 1 Owner ML 350!! Just a great looking and Driving ML350. It was just professionally serviced and before listing it for sale we had a 125+ point CERTIFIED PRE-OWNED inspection completed on this SUV and it NEEDS NOTHING. Everything works and state inspection is current. The vehicle has like new tires on it! The 125+ point inspection report, as well as vehicle history report, are in the vehicle for your review. The ORIGINAL Black Metallic paint is absolutely FLAWLESS (Garage Kept) there are no dents, scrapes or scratches, NOT EVEN A DOOR DING!!! The Beige LEATHER interior is also in FLAWLESS condition there are no rips, tears, burn holes, stains or wear marks on the leather or carpet! NEVER smoked in! Guaranteed no disappointments! Must see and drive the flawless condition of this SUV to believe! Yes this little SUV is really this nice! This SUV is truly in IMMACULATE condition!!!!! Remember this vehicle is truly nice and IS in the condition that's its being advertised - So PLEASE SERIOUS INQUIRIES ONLY!